Join Papadeli for their final supper evening of the year, taking place from 7.30pm on Friday, December 2nd. 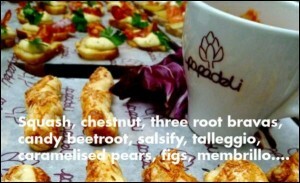 The evening costs £40 per head, and places are limited and will need to be pre-booked by emailing info@papadeli.co.uk. Wild rabbit, Somerset cider & russet apple stew with winter greens + celeriac, hazelnut and thyme gratin.